saved millions for defense clients. 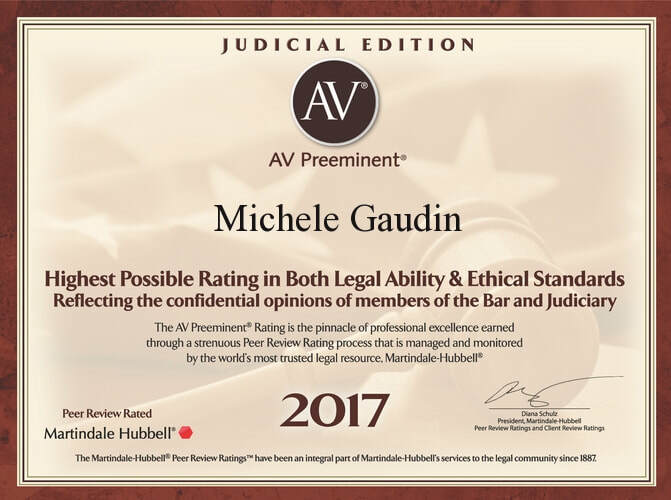 Michele Gaudin is a successful, experienced, creative litigator in many areas of the law, for plaintiffs and for defendants, from the routine to the highly complex. 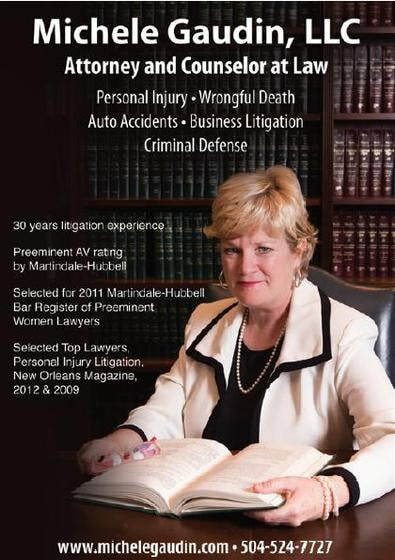 attorney you can count on. I return calls and keep you informed. I will work hard for you and get results. Your case will have my attention. You will not be shuffled off to an associate lawyer. You will receive copies of all correspondence. 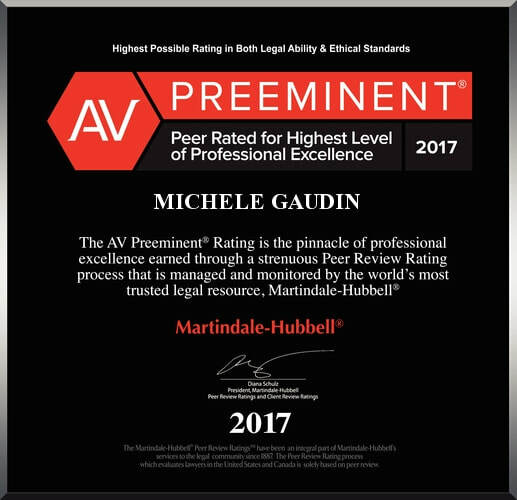 AV® Preeminent™ 5 out of 5 rating from Martindale-Hubbell®. Email us for a free claim evaluation. Cong et. al. v. Foti et. al. USDC E.D.LA. Death Penalty Reversed. Handled Pro Bono*. Family Business Exonerated In Wrongful Termination Case. Defense Jury Verdict*. Clerics Wrongly Accused, Cleared of Misconduct. Young Man and Homeless Shelter Sued for Sexual Misconduct, Young Man Coerced to Plead Guilty. Jury Exonerates Him and Church Shelter. Defense Jury Verdict*. 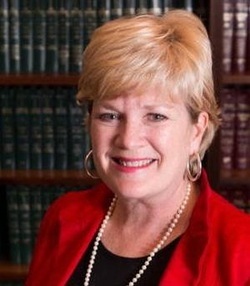 *See "Representative Verdicts" on About Michele Gaudin page. 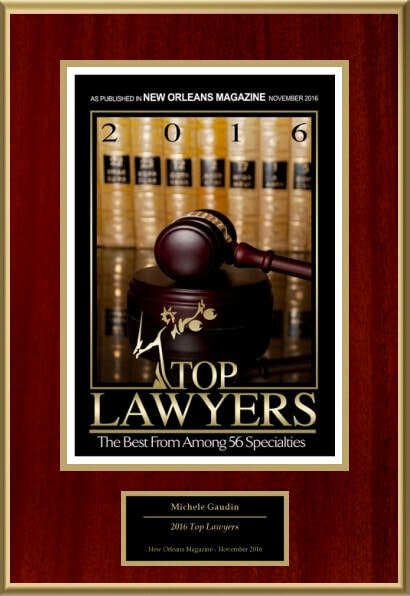 In accordance with Louisiana Rule of Professional Conduct 7.4, the fields of practice identified herein do not state or imply specialization, certification or expertise in any particular area of law. This website is for general purposes only and is not to be construed as formal legal advice. Visiting this website and/or contacting our attorneys does not establish a lawyer-client relationship. 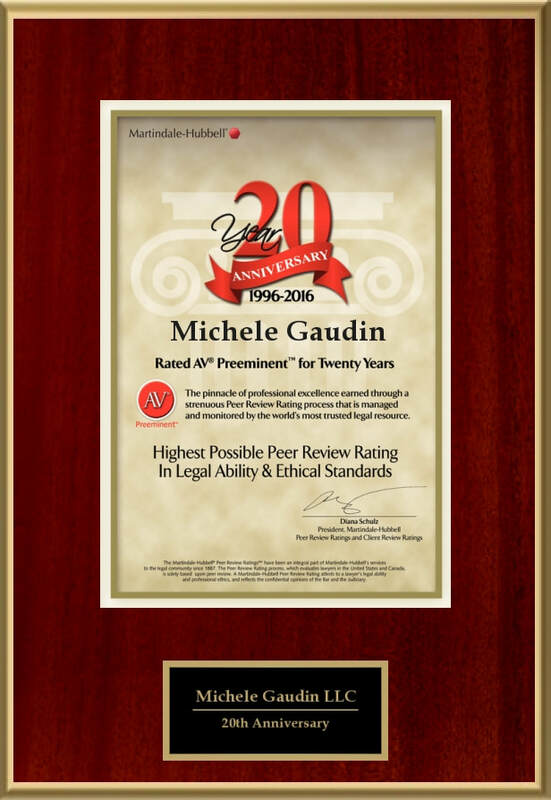 © 2008-2018 Michele Gaudin, LLC. All rights reserved.